Whose side were you on? Well, if you were pro-registration, then theres one hell of a price to pay. Youre in the army now. 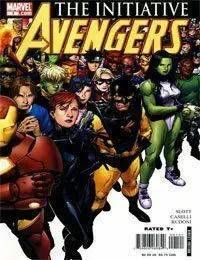 Every last one of you.<br />Fall in with Yellowjacket, War Machine, She-Hulk, Justice, and The Gauntlet as they train the heroes of tomorrow for the super-powered conflicts of today! Marvels army of super heroes has just become a super hero army!